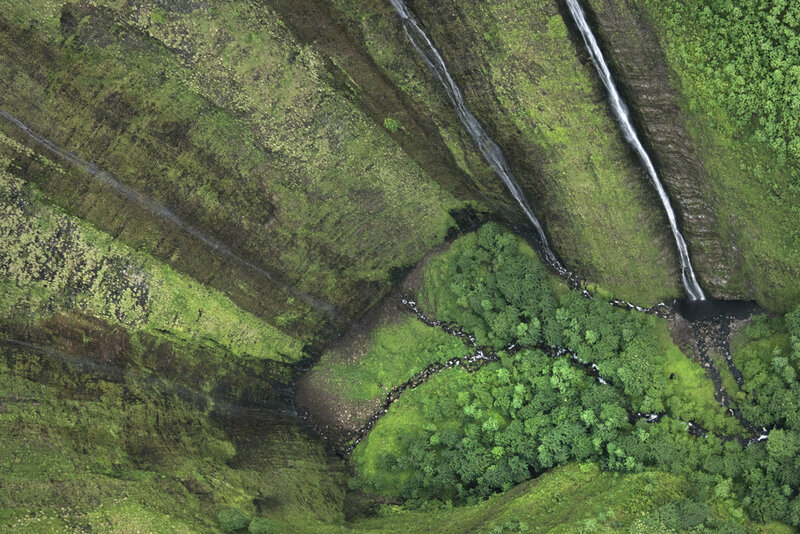 Photographing Hawaii presents endless opportunities for epic landscape and wildlife images. With incredible diversity between (and within) each island it can be hard to narrow down where to start, so to get you started here’s my guide to one of my favourite places – the Big Island. Hawaii is a destination that calls to me each year, tempting me back time and time again. 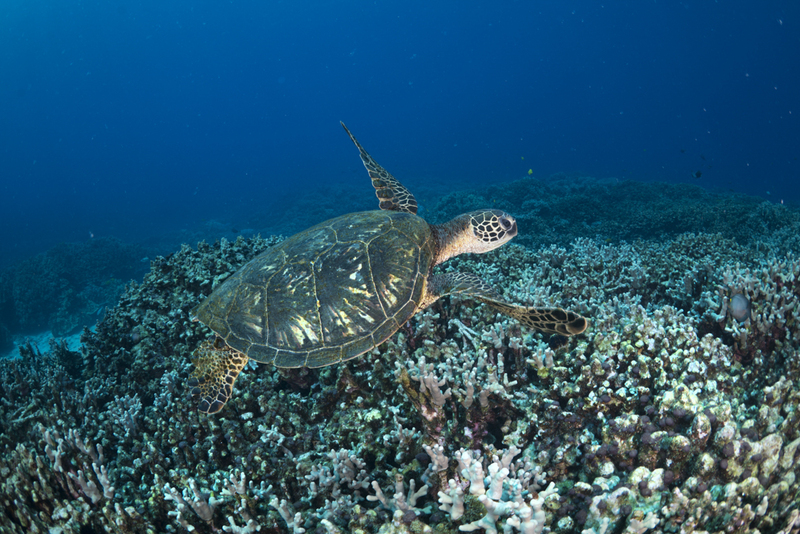 Its diverse landscape, surf breaks and marine life are consistently awesome to photograph and the ‘aloha spirit’ makes it the perfect place to unwind. 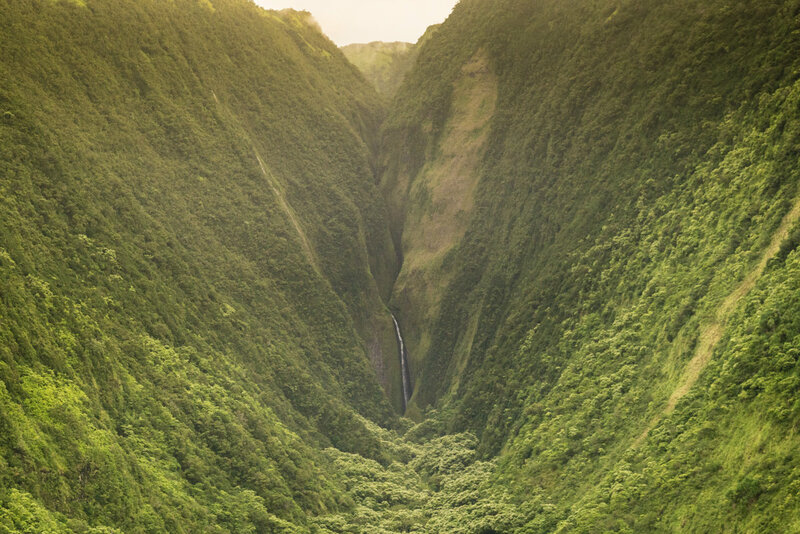 As a nature photographer, one of my top places to visit each year is the Island of Hawaii (also known as the Big Island) – a location comprised of great mountains, 11 of the world’s 13 climate zones and one of the world’s most active volcanoes. When the opportunity recently arose to collaborate with Hawaii Tourism to show you the Island of Hawaii through my lens it was an opportunity I could not resist. 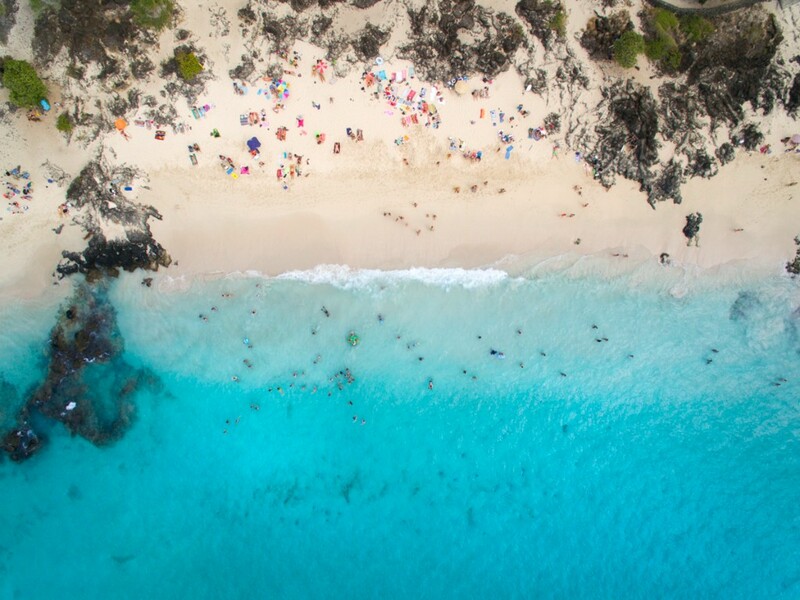 When travelling from Australia, a trip to Hawaii always starts with the gift of an extra day – a little benefit of crossing the international date line. Excited to be back on the Island of Hawaii and wanting to pack as much in as I could, my first activity was scheduled to kick off at 3am and it was something I have long dreamt of witnessing and photographing – red rivers of lava flowing from Kilauea Volcano into the Pacific Ocean. 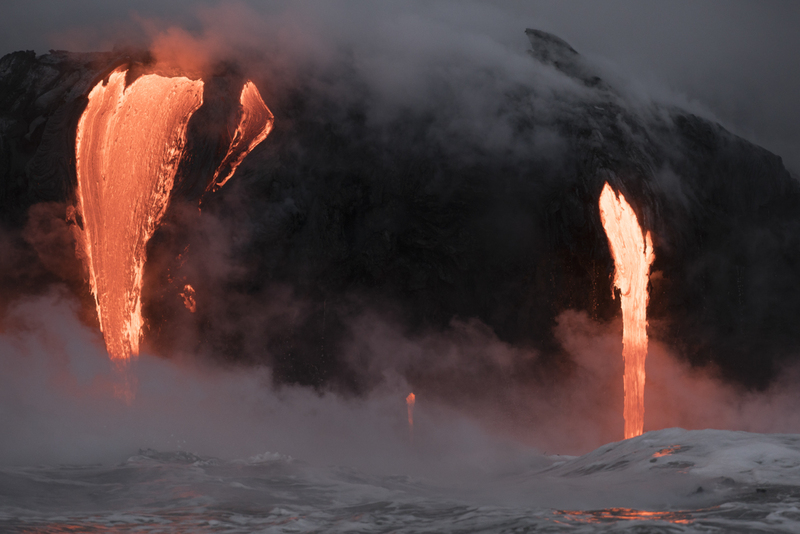 Witnessing this phenomenon at sunrise is not only impressive but also ideal for photography as the rising light accentuates the flowing lava making for some spectacular imagery. Jumping on a boat just off Hilo we motored through the darkness, the sky punctuated every so often by the lights of morning fishermen lined up on the shore. 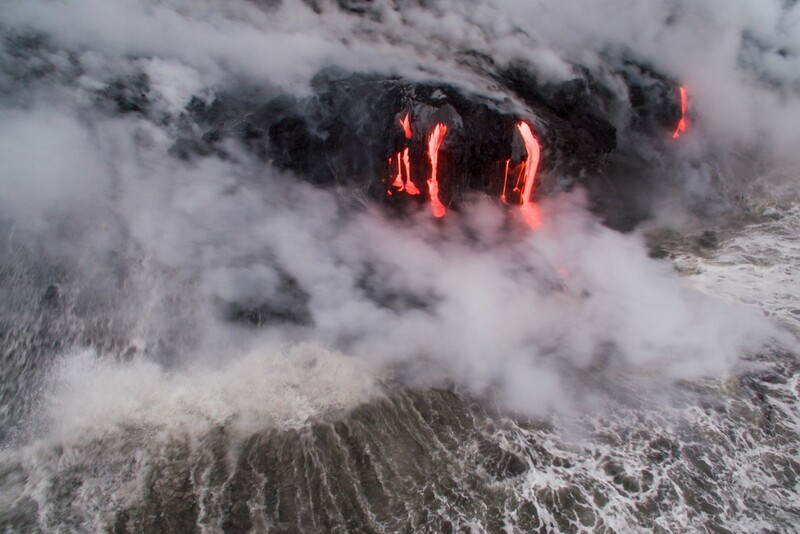 All of a sudden there it was – the red glow of molten lava, steam billowing from the ocean’s surface and a low rumbling in the atmosphere as the water hit boiling point (the lava was about 2200° C). Described by locals as a place of both fire and ice, this is something you don’t want to miss. 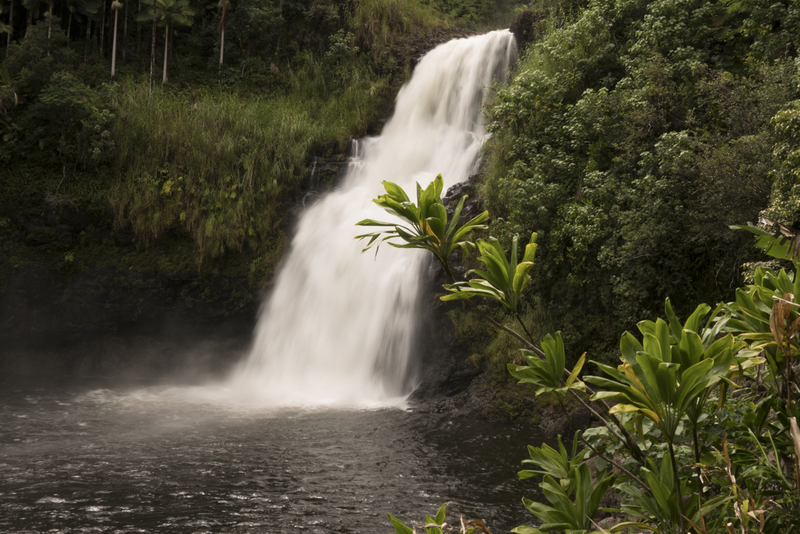 From fire cascading into the water, my next stop was to witness water thundering to the ground at a location north of Hilo – Kulaniapia Falls. There had been heavy rain the night before which was perfect as it meant the waterfall was in full flow, giving off an enormous energy as the rainfall descended into the lush greenery below. Whilst this particular location is a favourite of mine when visiting the Big Island, there are many awesome waterfalls scattered around the area, each creating its own photo-worthy backdrop so it’s definitely worth getting the hiking shoes on and exploring the area as much as possible. Never too far from some impressive volcanic action, a visit to the Island of Hawaii should include a stop at the Kaumana Caves Park. 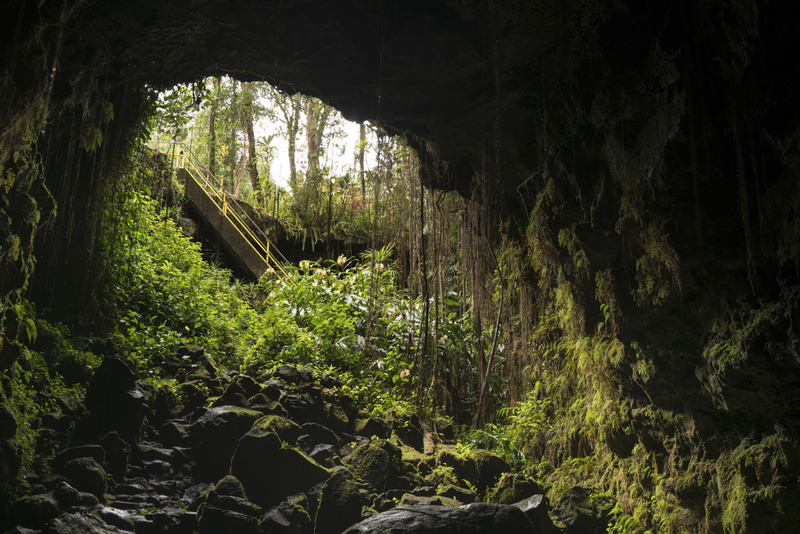 This natural site presents as a cave but is actually a skylight in a 25-mile long lava tube, created in 1881. It’s pretty awesome to stand in the centre of the tube and simply imagine the area during this time in history. 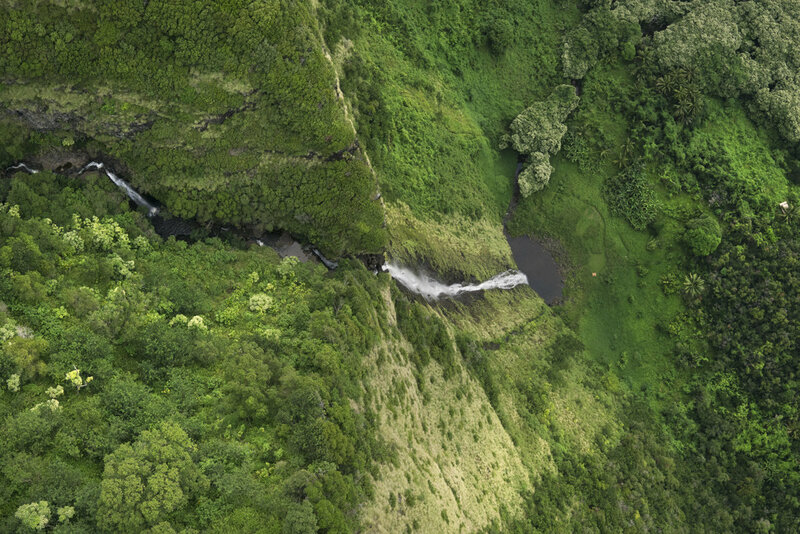 If watching the sun rise over the lava flows is one of the best ways to start the day on the Big Island, then watching the sun set from a helicopter whilst cruising over the epic landscape of the Kohala Coast is undoubtedly the best way to end it. Taking to the skies with the friendly crew from Blue Hawaiian Helicopters, I was fortunate to be treated to an epic sunset against breathtaking views and a unique perspective of the Island of Hawaii. Waterfalls cascade 1000ft into the Pacific Ocean and the beauty of the green rugged coastline reveals itself from up here. 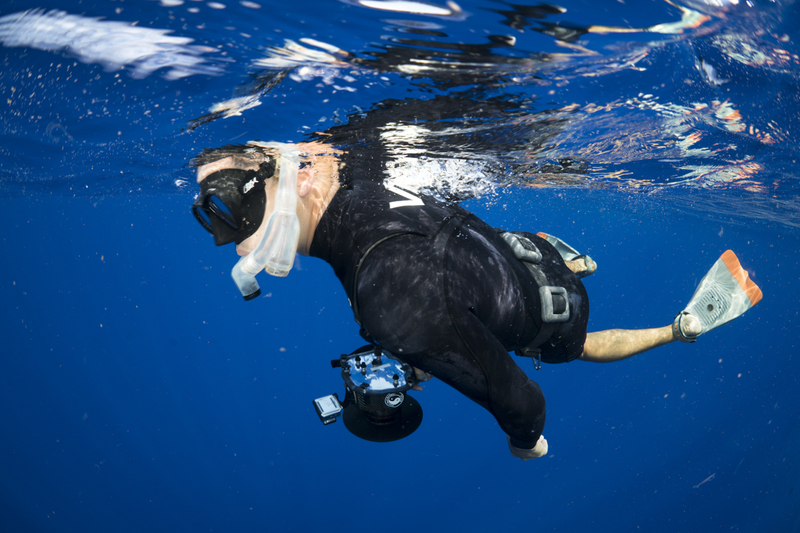 A trip to the Island of Hawaii isn’t complete without some serious time in the ocean, so this was also top of the agenda for this journey. 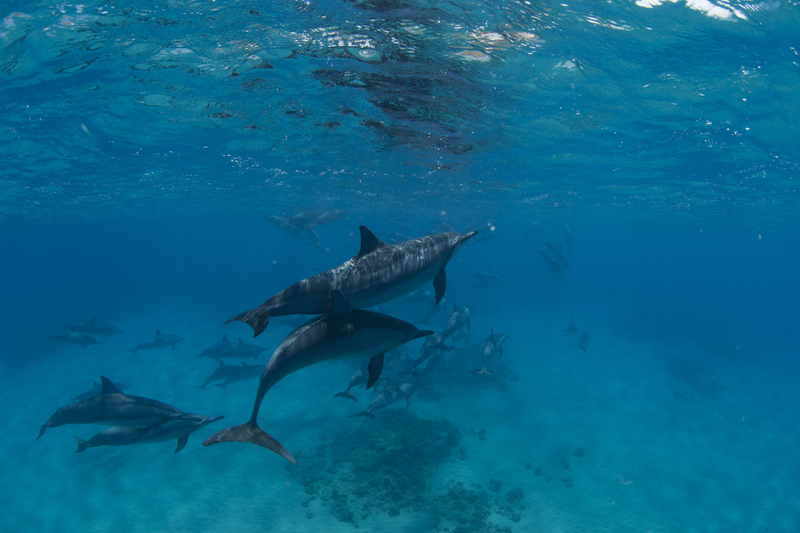 Catching a ride with private charter out of Keauhou Bay, we soon encountered a pod of curious Spinner Dolphins. Jumping in for a quick swim we were soon joined by a small group of False Killer Whales which was a pretty special encounter – it’s this abundance of marine life and the unexpected interactions that make the waters of the Island of Hawaii so inviting. Already on a high we then headed out for a quick snorkel and turtle swim on a reef close to the shoreline. From up high and down beneath the ocean’s surface, this island is one of destination of diversity and one which can easily be explored and enjoyed. Offering incredible sightseeing, photographic opportunities and the aloha spirit, it is somewhere I’ll continue to visit for years to come! A big thanks to the team at Hawaii Tourism for showing me around the Island of Hawaii.